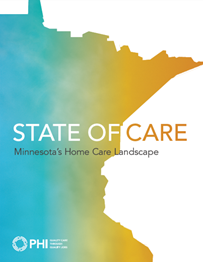 A report on home care in Minnesota, examining the state’s workforce and trends in the broader sector. 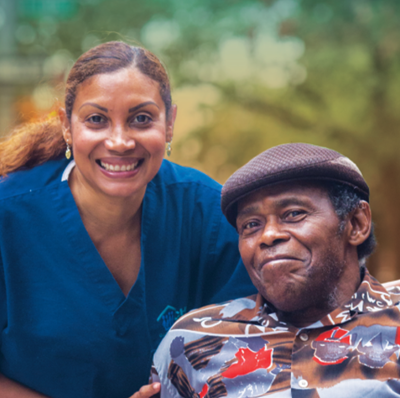 This report takes a special look at the state’s home care landscape. PHI conducted extensive research on the direct care workforce, training, and provider landscape in rural Minnesota to assess current its opportunities, challenges, and gaps in services—and propose potential solutions for consideration. In Minnesota, the average hourly wage for home care workers is $11.48, while the comparable wage for all occupations is $18.88. An increase in the number of older adults in Minnesota is driving the need for a stable, well-trained, &respected caregiving workforce. Barriers such as distance, transportation, and resources are more likely to be prohibitive to care delivery in rural environments.